Wild bison will be allowed to migrate out of Yellowstone National Park and stay in parts of Montana year-round thanks to Governor Steve Bullock. The governor agreed on 12/12/15 to expand year-round habitat protection for wild bison in Montana outside Yellowstone National Park. Historically, thousands of wild bison have been hazed or killed as they migrated from Yellowstone into Montana during the winter and spring months. This will allow hundreds of wild bison to live without the fear of being killed as the search for food in lower elevations in an area 400 square miles north and west of the park. Wild bison have largely been blocked from staying in Montana year-round like other wildlife due to a concern by cattleman and ranchers that their livestock could contract brucellosis, an introduced disease that can cause infected pregnant animals to miscarry. 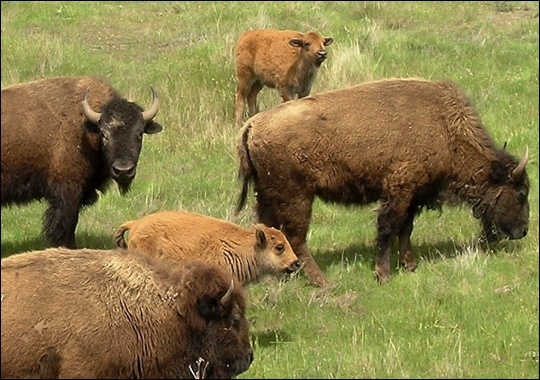 This disease may spread to domestic livestock from the migrating wild bison and elk. The chances of infection are small and there are management tools available to prevent such a transmission from happening. In fact, no documented transmission from wild bison to livestock has ever occurred. The governor did ad that he plans to continue to pressure the National Park Service to reduce Yellowstone population of nearly 5,000 bison. Yellowstone has one of the largest wild bison herds remaining. Since the 1980’s more than 6,300 wild bison have been killed to “cull” the species in response to the fear of brucellosis spreading. The National Park Service has announced that Yellowstone National Park intends to cull as many as a thousand of the park’s genetically unique and only continuously wild herd of bison. This annual slaughter has no basis in science, is unethical and is corrupted management precipitated by cattle ranching interests. The killing of bison is an annual event. Since 1985 some 8,634 Yellowstone bison have been “culled” to appease the livestock industry. The main justification given for this killing is the fear of brucellosis transmission to domestic livestock. The Montana Dept. of Livestock and the USDA’s Animal and Plant Health Inspection Service (APHIS) have worked together to perpetrate the idea that brucellosis poses a threat to the livestock industry. 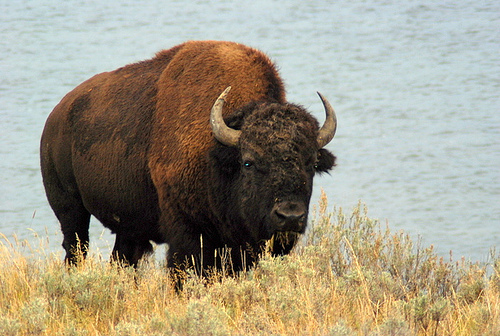 As a consequence the state and federal agencies, including the National Park Service, more or less restrict bison to Yellowstone Park (although there is a small area where bison are permitted outside of the park for a short period of time—but they are then killed by Native Americans and Montana hunters). Unfortunately for the bison, the urge to migrate in winter to find accessible food under shallow snow cover puts them in the cross hairs of the Montana livestock industry. A“bison wall” (analogous to the Berlin Wall) effectively confines them to Yellowstone National Park. The main justification given by the livestock industry for its continued support of slaughter or hazing of wild bison is a disease known as brucellosis. There are reasons to believe that brucellosis is a Trojan Horse. First, only infected pregnant bison cows can potentially transmit brucellosis during the last trimester of pregnancy (February – April), bison bulls and calves are regularly slaughtered, so the killing of these animals demonstrates that brucellosis is not the primary reason for the containment of buffalo in the park. There are other animals that carry brucellosis. Some elk in the Greater Yellowstone Ecosystem (GYE) are also infected with brucellosis. Predators and scavengers, such as coyotes, crows, vultures, and bears, are rarely infected as well, though they are not at high risk for shedding the bacteria. 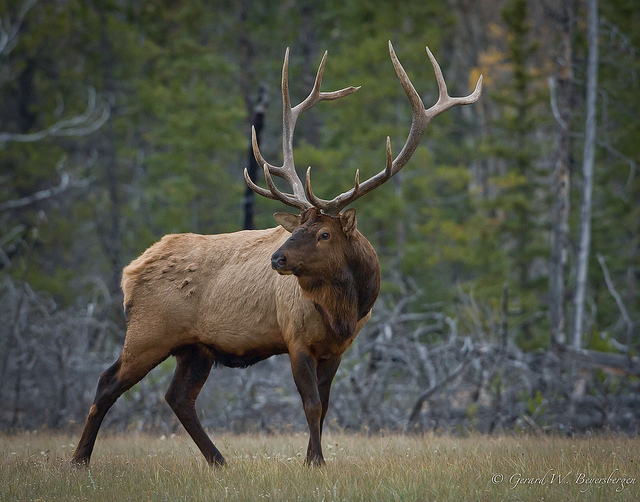 Though there has never been a single documented case of brucellosis transmission to cattle from wild bison, all the instances of cattle infection seem to be the result of elk transmission. 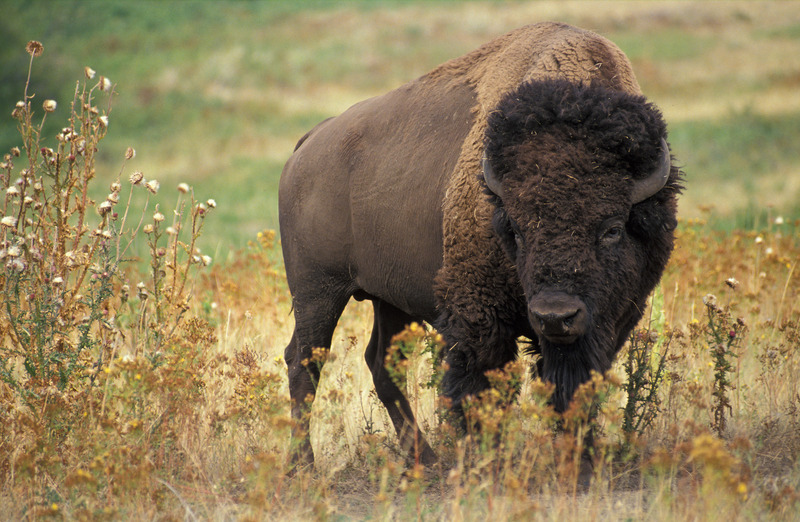 Despite these well-known facts, bison are still singled out for control and death. The wild bison in Yellowstone are not just any bison herd. 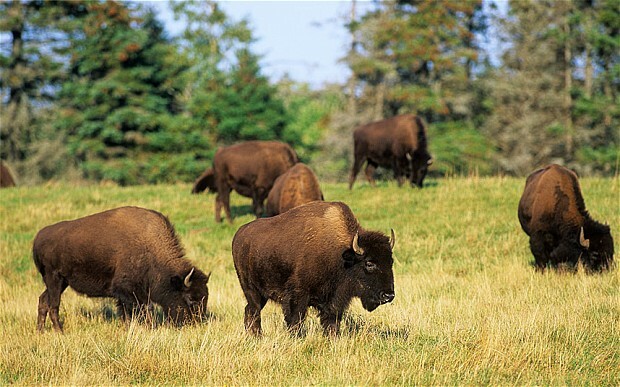 They are the only continuously wild bison left in the United States. 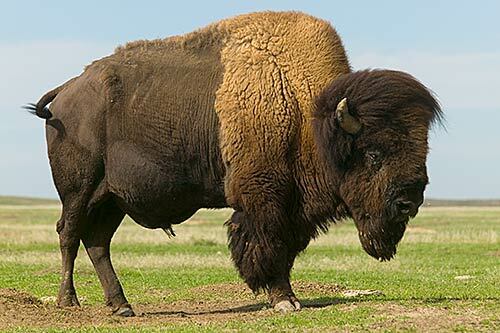 They are the most significant bison herd free of cattle genes. They are a national and international heritage. Most of the bison in the Untied States are managed as commercial livestock and selection is for traits favorable to domestication. Both the Buffalo Field Campaign and Western Watersheds Project have petitioned to have Yellowstone’s bison declared a threatened distinct population segment under the Endangered Species Act. An earlier attempt to get the bison listed in 1999 resulted in the Fish and Wildlife Service’s refusal to consider the listing, however, they did acknowledge that the Yellowstone population may be discrete and may meet the criteria for Distinct Population Segment. To treat Yellowstone’s bison in this matter is a national disgrace and crime against the environment. The fact that this killing has been on-going for decades without resolution is also a scandal and sheds light on the corrupt power the cattle industry has on American politics. This week, dignitaries from U.S. Tribes and Canadian First Nations signed a treaty-the first among them in more than 150 years-to establish intertribal alliances for cooperation in the restoration of American buffalo (or bison) on Tribal/First Nations Reserves or co-managed lands within the U.S. and Canada. This historic signing of the “Northern Tribes Buffalo treaty” occurred in Blackfeet territory in Browning, Montana, and brought together members of the Blackfeet Nation, Blood Tribe, Siksika Nation, Piikani Nation, the Assiniboine and Gros Ventre Tribes of Fort Belknap Indian Reservation, the Assiniboine and Sioux Tribes of Fort Peck Indian Reservation, the Salish and Kootenai Tribes of the Confederated Salish and Kootenai Indian Reservation, and the Tsuu T’ina Nation. Collectively, the Tribes/ First Nations have more resources and political influence than they might individually. The groups own and manage a vast amount of grassland and prairie habitats-about 6.3 million acres; almost three times the size of Yellowstone National Park — throughout the United States and Canada. Through their combined voice and a formal expression of political unity, their goal is to achieve ecological restoration of the buffalo on their respective lands, and in so doing to re-affirm and strengthen ties that formed the basis for traditions thousands of years old. Along with agreeing to work together for bison restoration and grassland conservation on tribal lands, the treaty encourages youth education and cultural restoration among the tribes. The treaty is an ancient and enduring way of forming agreements between plains tribes. Although treaty has been a traditional practice for Native Americans for thousands of years, an intertribal peace treaty of this nature has not been signed among these tribes for more than 150 years. The last peace treaty signed by these tribes, The Lame Bull Treaty of 1855, established a large common hunting ground and focused on preserving their cultures and ways of life.